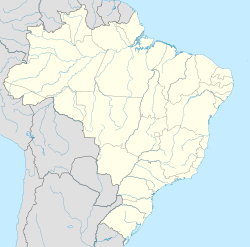 ↑ "Location of Porto Alegre". Iguide.travel. สืบค้นเมื่อ 2010-10-21. ↑ "World Weather Information Service - Porto Alegre". World Meteorological Organization. สืบค้นเมื่อ May 2, 2014. ↑ "Porto Alegre Climate Normals 1961–1990". National Oceanic and Atmospheric Administration. สืบค้นเมื่อ May 2, 2014. ↑ "Weatherbase: Historical Weather for Porto Alegre". Weatherbase. สืบค้นเมื่อ May 2, 2014. ↑ "Barsa Planeta Ltda". 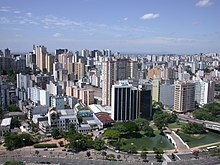 Brasil.planetasaber.com. สืบค้นเมื่อ 2010-10-21. ↑ "Religion in Porto Alegre by IBGE". Sidra.ibge.gov.br. สืบค้นเมื่อ 2010-10-21. ↑ 7.00 7.01 7.02 7.03 7.04 7.05 7.06 7.07 7.08 7.09 7.10 7.11 7.12 7.13 7.14 7.15 7.16 7.17 "Mayor's International Council Sister Cities Program". Porto Alegre, RS. สืบค้นเมื่อ 2008-08-22. ↑ "Partners cities from Paris". Porto Alegre, RS. สืบค้นเมื่อ 2009-07-19. หน้านี้แก้ไขล่าสุดเมื่อวันที่ 3 มีนาคม 2561 เวลา 21:53 น.